Woah, what’s with this out of left fielding casting throw? But at least the upsides are more star power and additional clarity on the fate of this particular drama, so for that I’ll lean towards the positive with this surprising news. Korean-American actor Daniel Henney is the latest addition to the cast of upcoming MBC revenge drama Goodbye Mr. Black. He joins the already lined up group of Moon Chae Won, Lee Jin Wook, Kim Kang Woo, and Song Jae Rim, so Daniel isn’t taking a role from anyone but will be playing yet another supporting role. Daniel’s character is described as the daddy long legs support to Moon Chae Won’s female lead, while Lee Jin Wook is the revenge driven male lead, with Kim Kang Woo as his betrayer and Song Jae Rim as a serving justice newspaper editor. Daniel isn’t confirmed just yet but is reportedly close to signing on, which will make this his first K-drama in 5 years since the Rain drama Fugitive: Plan B. Goodbye Mr. Black is still on the MBC plate for early 2016, and will start filming in early December which is great news for Moon Chae Won fans who have been clamoring for her drama land comeback. Goodbye Mr. Black is a reinvented adaptation of an 80’s manhwa of the same name, which is itself an adaptation of the classic revenge novel Count of Monte Cristo. The big K-drama type twist in this story is that Lee Jin Wook and Moon Chae Won get fake married in the process of his revenge. I feel like fake married is ever only suitable for a rom-com setting, but then again, revenge melo Nice Guy made all the tropes work marvelously, so I’ll keep my mind open for Goodbye Mr. Black. It’s been a long time, Daniel! But wait.. I dont think he is needed in this drama, isnt it? Plus, he will just play another supporting role. I wish he will get lead role in any drama soon. or maybe at least second lead? It’s probably a role that he finds interesting…I also would like to see him in a lead role at some point. I always liked Daniel, but have never been blown away by his acting. But he has the package, face and body. Hope his acting chops has improved. Moon Chae Won plus Hot Guys..Now I’m just hoping it to be at least decent..
Daniel is a regular on Criminal Minds: beyond borders, I think he only gets a supporting role due to his CSI schedule. That and his acting stinks. Plus none tries to brainwash us with his “acting” skills that “transcends” his handsome face. I’m tired of “almost talented” actors who “improve from one project to the other” just because their agends and their (usually huge) fandoms say so. With actors like Henney, what you see is what you get which is that honest and simple: really amazing looks and very mediocre acting. I have no problems with his acting. I thought he was good in Kim Sam Soon. EEEEEEEEEEEEEEEEEE! I love seeing that cast line up in a story I’m totally looking forward to. And Daniel hopping on board just makes it even better. SO MUCH PRETTY!!!! Just as long as they let him speak Korean (which he’s pretty good at) the whole time, that is fine with me. Whaaaaaa! She is such a lucky gal! My screen is going to be glowing with pretty. Hopefully this turns out decent. Been way too long since my Moon Chae Won has graced the screen. am i the only one who thinks he isnt really all that handsome? not that he isnt goodlooking or charming but his facial features strike me as too narrow at times. You are probably in the minority. He has classic handsome features. But as they say, beauty is in the eye of the beholder. isn’t really all that handsome? probably not your type then. 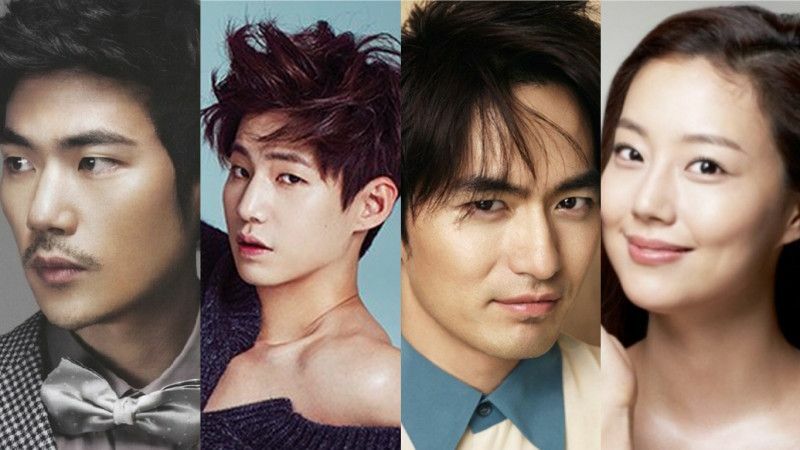 This drama would be perfect if they only got Song Jae-Rim off it. He already proved in Unkind Women that he cannot act, and cannot even create chemistry with his leading lady. Let him take the door out. ummmm … do you KNOW mary? And for Unkind Women, can’t we consider the leading lady at fault for that? She’s never had chemistry with any of her leading men if you ask me. whaaaat? I am tired of people saying Jaerim cannot act. He really transforms in every role I have seen him on, and he has proven he can create chemistry with a lot of his co-stars like kara guyri, kim hyung joon and jo bo ah. Just because the writer didnt know how to fit in his character in the storyline of Unkind Women doesn’t mean he cannot. I hope he proves you wrong and make you eat your words with his performance in this drama. He is handsome but does he speak korean fluently enough? Oh we love this guy so much! He is truly adorable! Waiting for HIS appearance and eagerly looking forward to it! DANIEL HENNEY! Oh goody! It’s always good to see (and hear) Daniel Henney. His acting is meh meh but whatever. I still can’t get over the fact that Lee Jin Wook will play Mr. Black over Kim Kang Woo. They got this all wrong. The casts all very pretty but don’t have special acting chops. I always have problem with Lee Jin Wook and Daniel Henney’s tone or pronouns and their emotionless expressions. Well, I still can believe they will get the ratings IF only not compete with other incredible actors like Song Il Kook or saeguk with Lee Young Ae or the incredible and makjang writing.